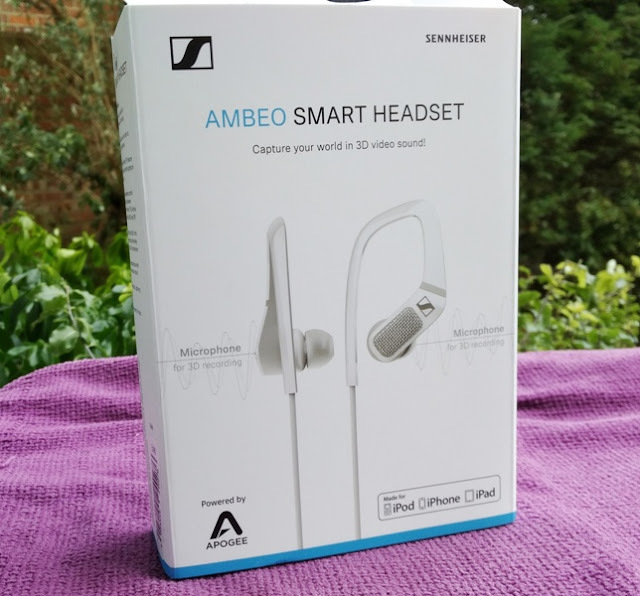 Sennheiser AMBEO Smart Headset 360 Immersive Video Audio experience! 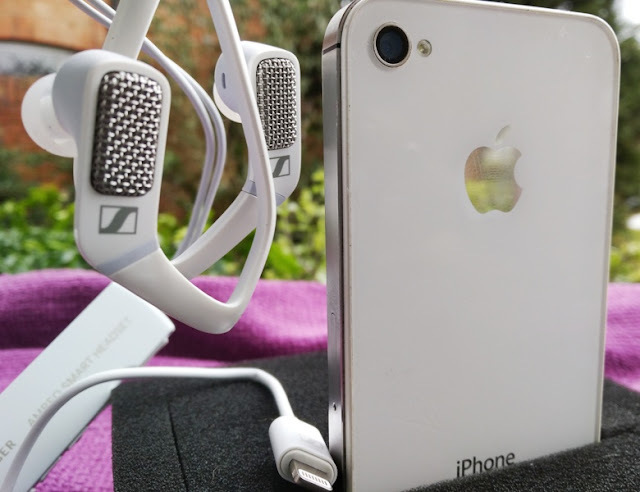 3D audio is an incredibly powerful technology that has been around for a while now in different forms like in-ear binaural microphones, embedded in silicone ears, and portable recorders like the Zoom H4n Pro. 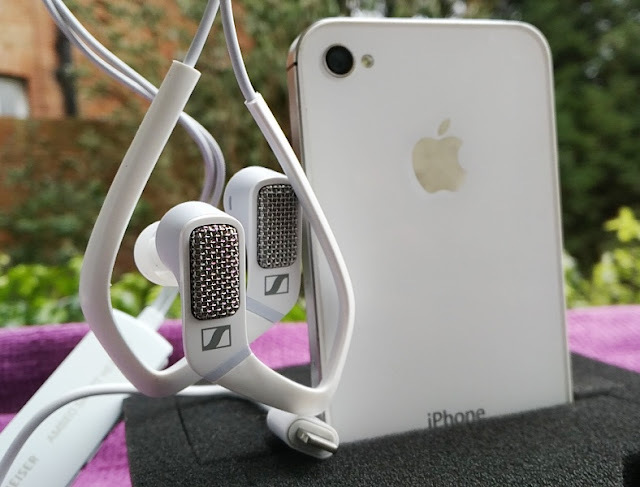 Now, with 3D audio solutions like the Sennheiser AMBEO Smart Headset 3D audio finally meets ASMR on your smartphone via iOS interface! 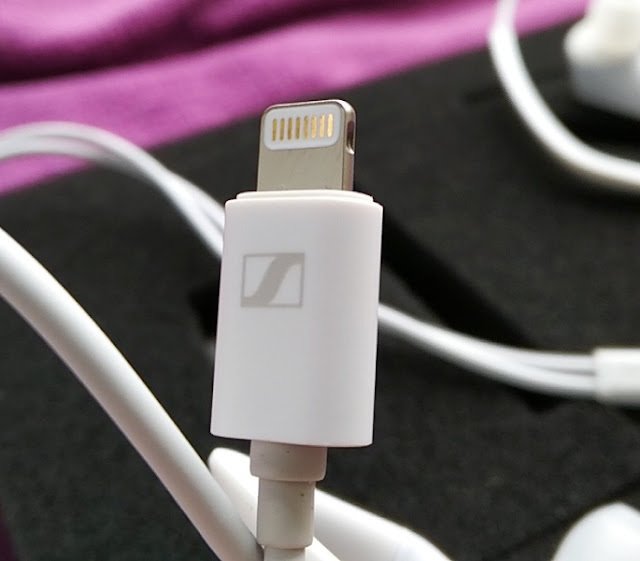 The Sennheiser AMBEO Smart Headset is able to capture 3D audio via an iPhone or iPad thanks to the integration of a preamp gain (Apogee MiC Plus) and nifty software (Apogee Soft Limit) that is able to convert analog to digital while preventing digital overshoots. 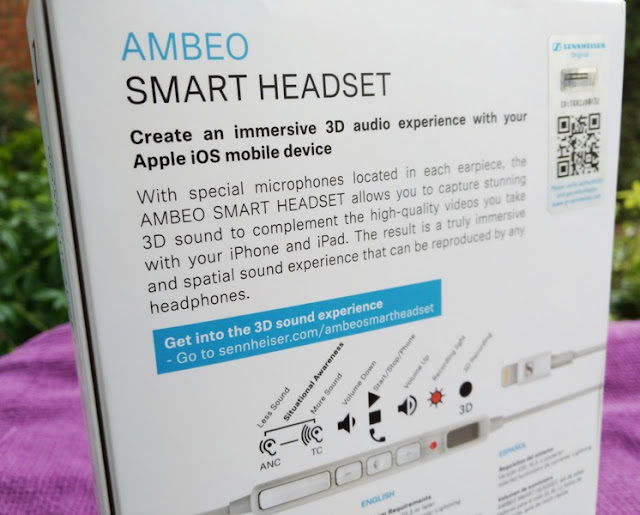 This is how the AMBEO Smart Headset is able to capture 3D audio via smartphone because typically this would not be possible with just any binaural microphones mainly because of the need of phantom power and because the smartphone's headphone jack only has one channel microphone input as opposed to two channel mic inputs which are needed in order to recreate 3D audio. 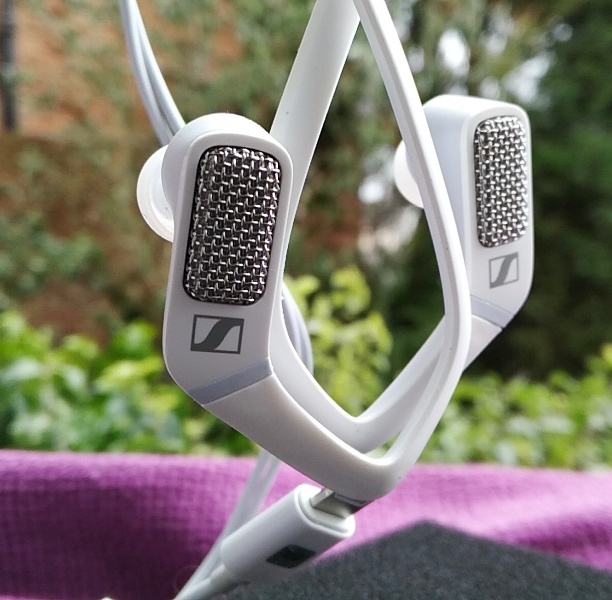 The Sennheiser AMBEO smart headset does not require external phantom power to operate so there is no extra bulk. 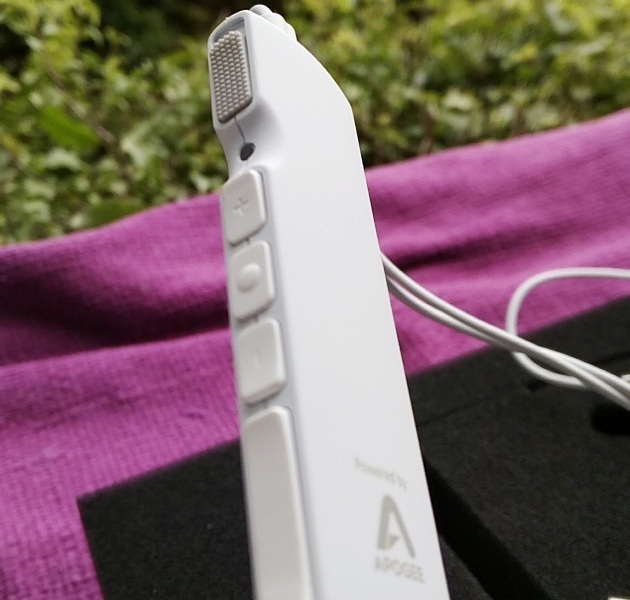 The AMBEO inline remote contains the Apogee technology powering the headset, as well as buttons to control the play/pause, volume and noise cancellation. 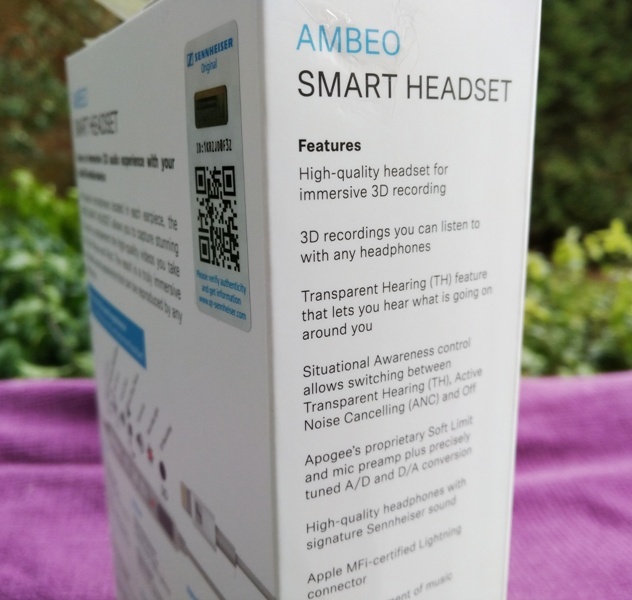 The AMBEO smart headset makes it very easy to record binaural spatial audio on an iPhone, iPad or iPod touch running iOS 10.3.3 or a later version. 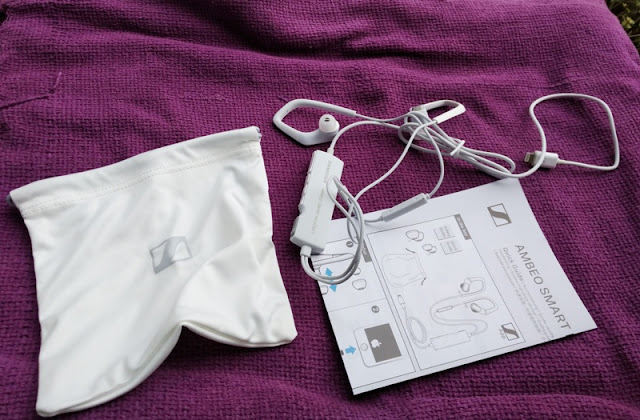 The AMBEO Smart Headset literary adds microphones to your ears as well as headphones so you can playback what you record right away. 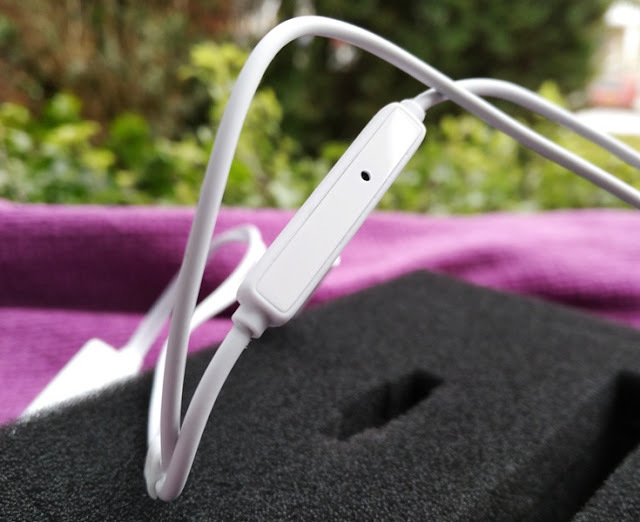 The AMBEO Smart Headset is essentially binaural microphones and headphones with active noise cancellation all-in-one neat, plug-and-play solution. 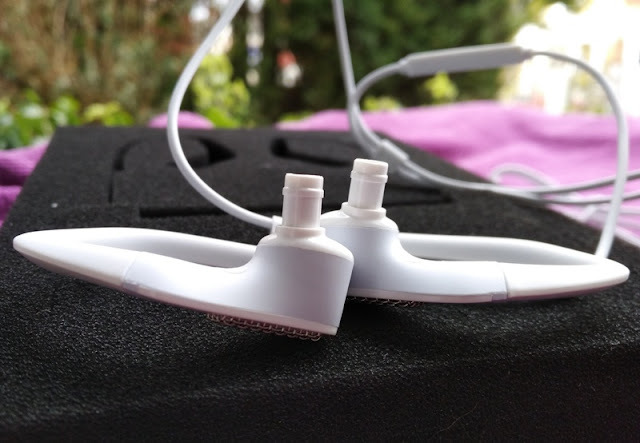 The AMBEO includes one omnidirectional microphone on the outside of each earpiece. 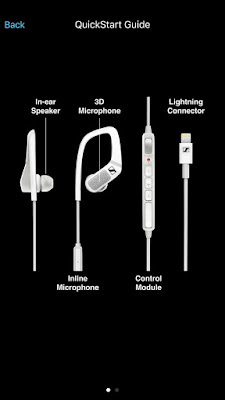 These microphones are designed for three purposes: 3D audio recording, transparent hearing and active noise cancellation. 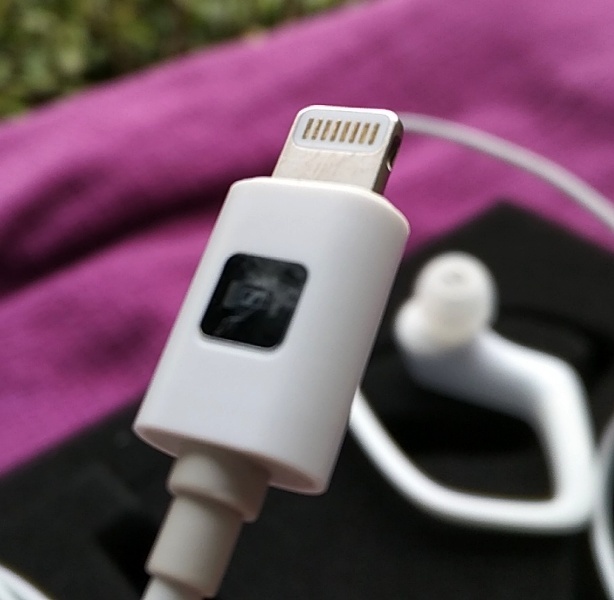 You simply connect the AMBEO Smart Headset male lightning connector into the lightning port of your Apple device and away you go. 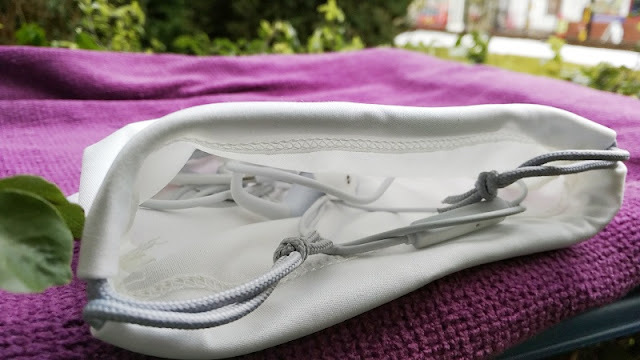 The internal microphone of your Apple device gets muted automatically to allow the AMBEO Smart Headset's omnidirectional microphones to kick in. 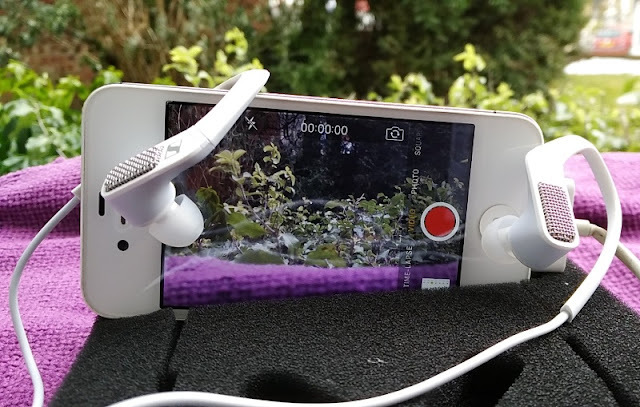 What's neat is that you don't need an external audio interface to work the AMBEO, just the built-in Apple camera app to start recording 3D audio. 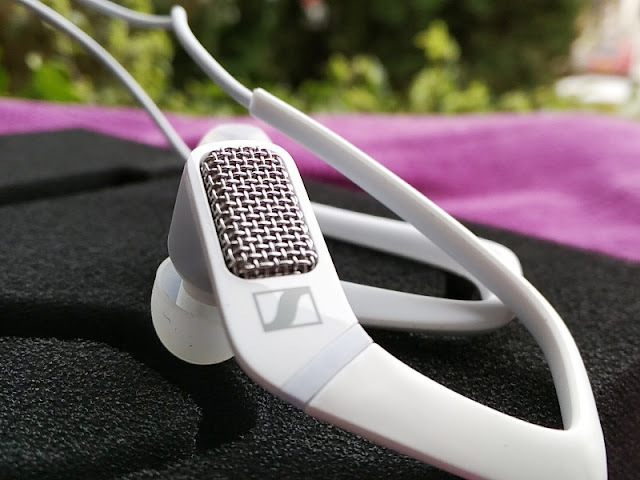 When you playback the recorded video you will hear the different sounds recorded from the exact direction that you recorded them, giving you a true 360 immersive spatial experience. 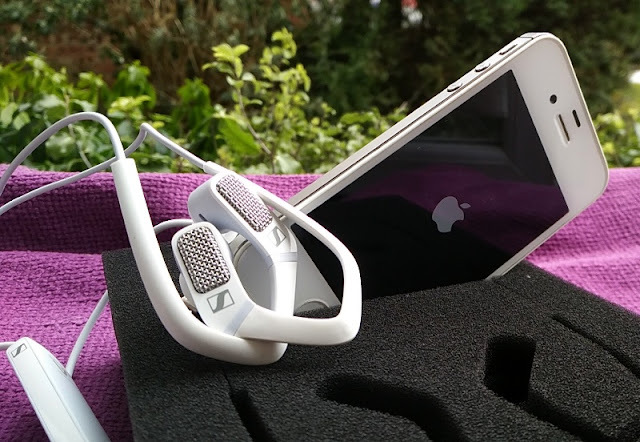 You can also record 3D audio-only without the need to record video at the same time. 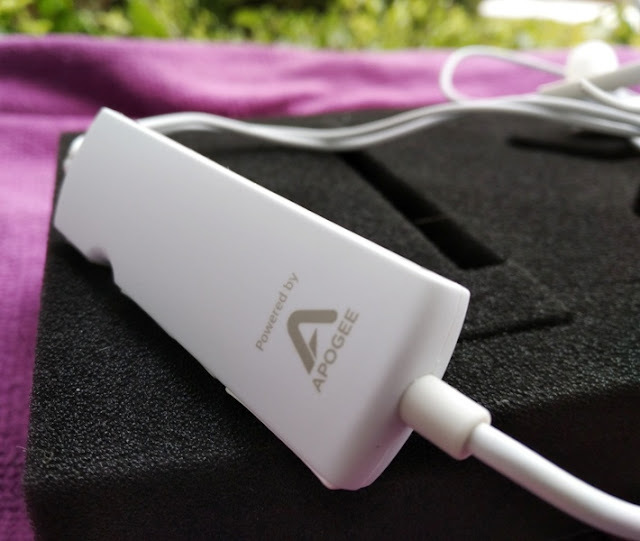 All you need is use any stereo audio recording app like Apogee´s MetaRecorder or Apple's voice memo recorder. 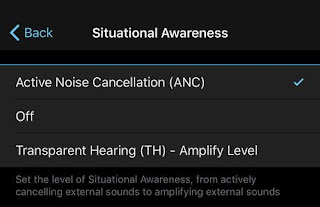 The AMBEO binaural in-ear microphones also come with an accompanying app that lets you tweak remotely the Recording Level of the 3D microphones, playback EQ, and the headset's Smart Slider. 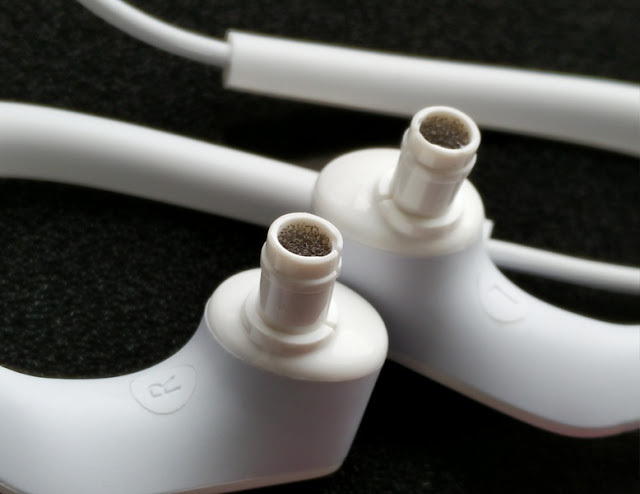 The type of capsule built in the AMBEO earphones is a very small professional electret capsule with omnidirectional pattern. 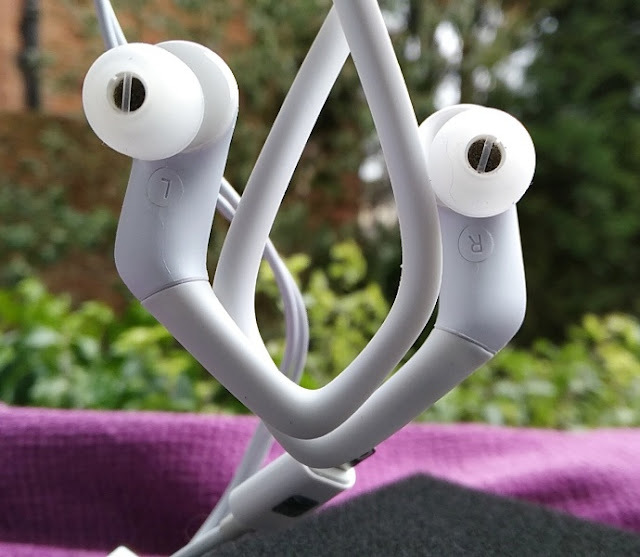 You can activate Siri voice control, make and answer phone calls from the AMBEO Smart headset just like regular in-ear headphones thanks to the integrated microphone in the earphone cable. 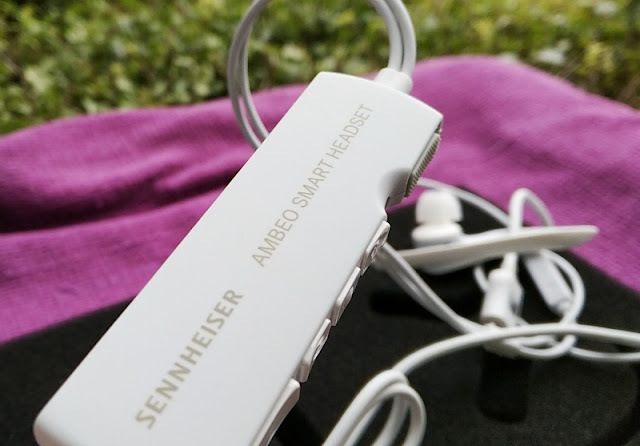 As far as battery life, the AMBEO Smart Headset doesn't use up much battery life plus it's Apple MFI certified, which means it is made for Apple so the headset will not damage or hurt your Apple device. 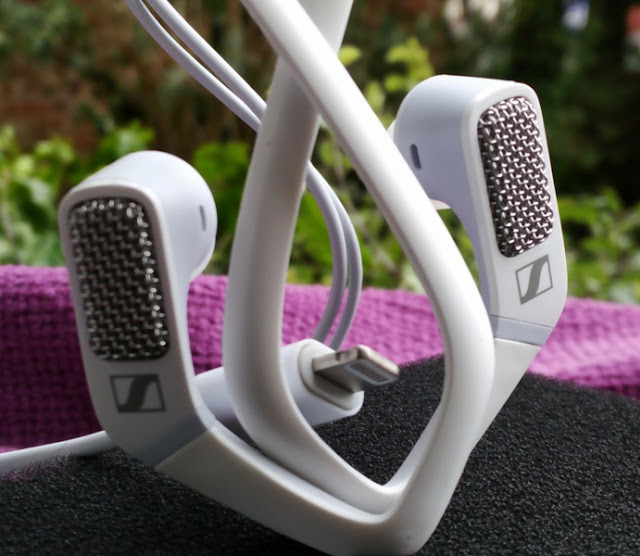 Another nifty feature Sennheiser has implemented with the AMBEO headset is the ability to let you turn a feature on, called Transparent Hearing" that lets hear outside noise for situational awareness when riding a bike or running. 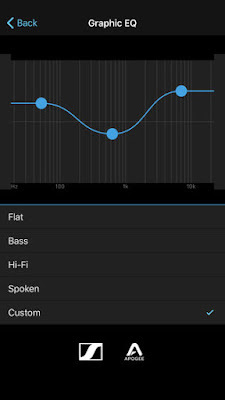 You set three presets so you can choose how much outside noise you want to let in. 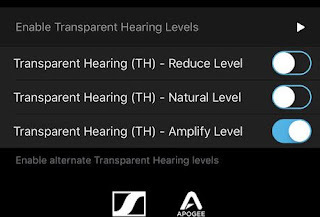 The technical specifications for the headphone drivers: Frequency Response:15Hz-22kHz, Sound Pressure Level (SPL): 112dB (1kHz/0 dbFs), THD - total harmonic distortion (1kHz, 100 dB SPL) <0.5%.